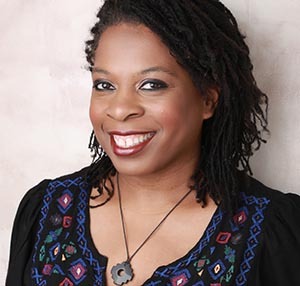 ‘I want to raise the profile of nursing as a top career choice for ​black and minority ethnic (BME) nurses, with a level playing field for development and progression,’ says NHS England programme lead Dawn Jarvis. senior nursing leaders and managers. Dawn Jarvis qualified as an enrolled nurse in 1987, converting to a registered nurse in 1993 and then a registered sick children’s nurse in 1995. She has held many clinical and managerial roles throughout her career as a children’s nurse, including lead nurse in a paediatric high dependency unit, paediatric service coordinator and service improvement lead and programme director for children’s and maternity services. Her current role is nursing programme lead for NHS England in London. I work with the Workforce Race Equality Standard implementation team and am currently undertaking a project on career development and progression for BME nurses and midwives. My role involves quality assurance and improvement. An internal opportunity came up to lead on this project. I work with front-line nurses and senior nursing leaders and managers to influence nursing practice and care quality. Listening to nurses’ stories, including the experiences and the challenges they currently face, and sharing these to develop strategies to support nursing. Getting organisations to engage with your project can be difficult. Everyone is busy, so I aim to be as flexible as possible. Raising the profile of nursing as a top career choice for BME nurses, with a level playing field for development and progression. Working at NHS England has enabled me to see the bigger picture, including how nursing and the quality agenda contribute to improving population health. If you hadn’t become a nurse, what would you have done instead? I would have been a chef. Cooking is like nursing, both are an art and a science. At the end of my current project I will be moving on to NHS Improvement as senior quality lead. Grab every opportunity, take risks and reflect and learn from your experiences and the people you meet.